Do you get this error message in Internet Explorer? 2. Click Tools and then options. 4. Select the Internet Zone. 5. Click on the Custom Level Button and then scroll down to Download. 6. Make sure to enable File download. Windows Media Player cannot find the specified file. Be sure the path is typed correctly. or the computer where the file is stored is offline. 1. 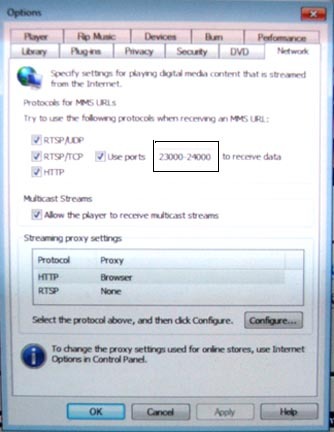 You are listening from a business that has a firewall that blocks Windows Media Player files. 2. Your Windows Media Player is not configured to play .ASX audio files. You can correct this problem by following these simple instructions. 6. 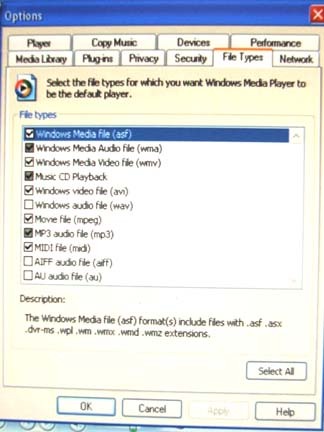 Place a check in the box of the first item "WINDOWS MEDIA FILE (asf)"
3. Click on " MORE OPTIONS"